What price would you pay to save your brother? Particularly since it was Jeriah’s fault that Tobin got involved with the sorceress, and followed her into a deadly Otherworld that will kill his brother within two months…unless Jeriah can get him out in time. 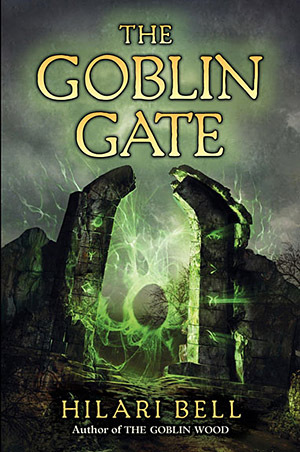 But getting someone out of an unexplored magical dimension proves to be a tall order—the gate spell’s notes exist only in the books of Master Lazur, a priest who wants to leave the sorceress and her goblins stranded where they are. He has no intention of even allowing Jeriah into the palace—which is the seat of both government and the church—until there’s no doubt Tobin is dead. Once he’s been assigned to work in the palace, Jeriah’s difficulties are just beginning—there are rivals for his job, a way-too-smart girl who works for Master Lazur is keeping an eye on him, and worst of all, the priest has hidden his notes for the gate spell. Jeriah needs help…goblin help, which always comes at a price. But living as a spy in the heart of the church, where the Hierarch himself is enmeshed in a web of secrets and lies, Jeriah needs all the help he can beg, borrow or purchase. If he doesn’t succeed, his brother will die.